The Trotters have come up in the world. They’re now residing in the West End. But you can’t take Peckham out of these geezers. 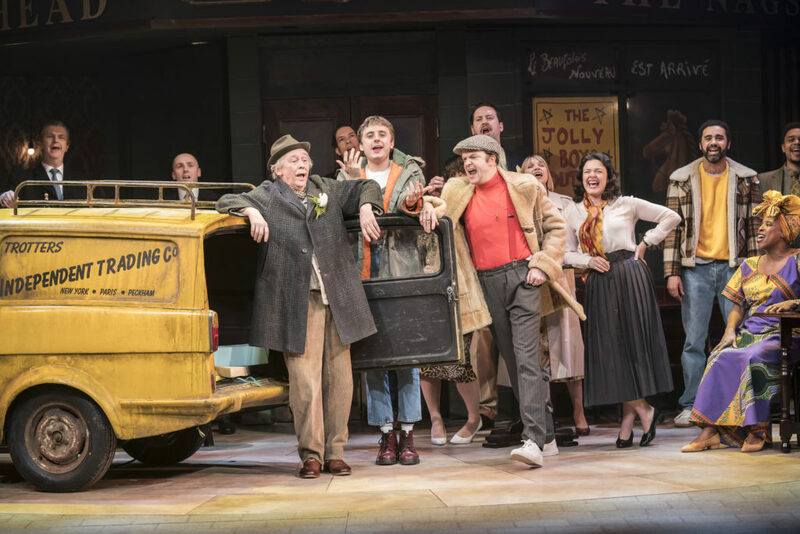 Only Fools and Horses The Musical has been in the pipeline for many years, but now it has finally arrived, brimming with the familiar warmth and humour that made the original sitcom one of the nation’s most-loved tv shows. The genius behind the sitcom, John Sullivan had ruminated with the idea of turning his beloved creation into a song and dance show decades ago. He even collaborated with Chas Hodges, of Chas & Dave fame, to noodle around song ideas. Sadly, due to both men’s passing, the gauntlet was passed to the writer’s son, Jim Sullivan, who acquired the help of another tv great, Paul Whitehouse, in finishing where his father had left off. Unquestionably a tall order to package approximately forty four hours of material into a two hour show, yet Sullivan Jnr and Whitehouse do an excellent job at piecing it all together, picking the most memorable punchlines and visual gags to incorporate. Based around the ‘Dates’ episode where Del Boy first meets his other half, Raquel, through a dating agency, as well as Rodney’s marriage to Cassandra, this stage adaptation sticks to Musical Theatre ‘boy gets girl’ conventions. Iconic scenes are given a nod to, whilst fresh material such as a fantasy sequence that flashes forward from the show’s 1980s setting, to the hipster Peckham of today, is an entertaining addition. The quality of the original writing is not diminished, as Sullivan and Whitehouse have managed to bottle its infinite lovability. The time and care taken in the script doesn’t always replicate itself in the music, with many songs feeling like the have been idly added as padding. Writing responsibilities were fractured between eleven composers/lyricists, which makes the consistency questionable. The witty, mockney lyrics of ‘Bit of a Sort’, and ‘Where Have All The Cockneys Gone?’ are examples of where the songs really lend themselves in developing the characters, whilst ‘The Girl’, crooned by Raquel (Dianne Pilkington) is reminiscent of Nancy in Lionel Bart’s Oliver! However, the random addition of two pop songs and a couple from Chas & Dave’s cannon of hits, feels as much as a rip off as the dodgy goods out the back of Del Boy’s van. The cast could quite easily have chosen to impersonate the original stars, yet, for the most case, the decision to embody the essence of the character instead is rightfully selected. However, Peter Baker’s uncanny vocal and physical resemblance to Roger Lloyd Pack’s Trigger is something of a treat. The three generations of the Trotter household are well performed. 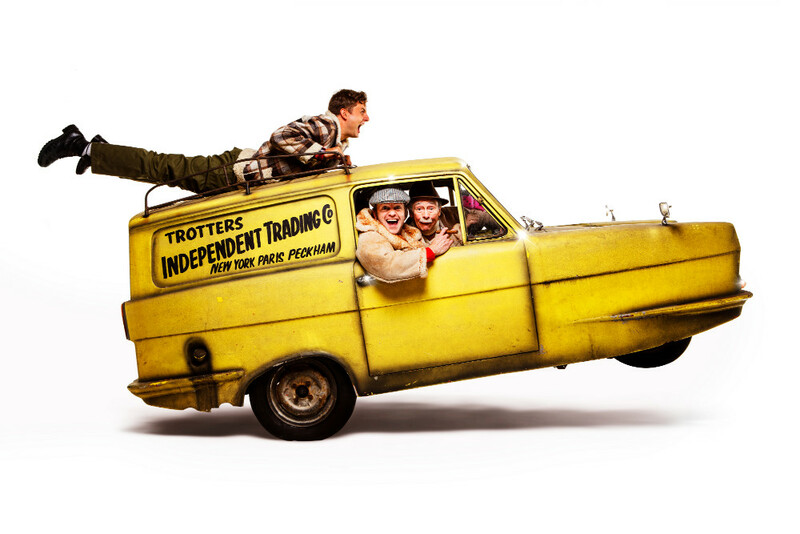 Tom Bennett is a loveable jack-the-lad Del Boy, channeling his cocky exuberance, and newcomer Ryan Hutton excels as downtrodden Rodney, whilst Paul Whitehouse makes a delightful cameo as grandad. A special mention should be made to Oscar Conlon-Morrey whose virtuosic ability to play many of the small ‘bit’ parts got some of the biggest laughs. 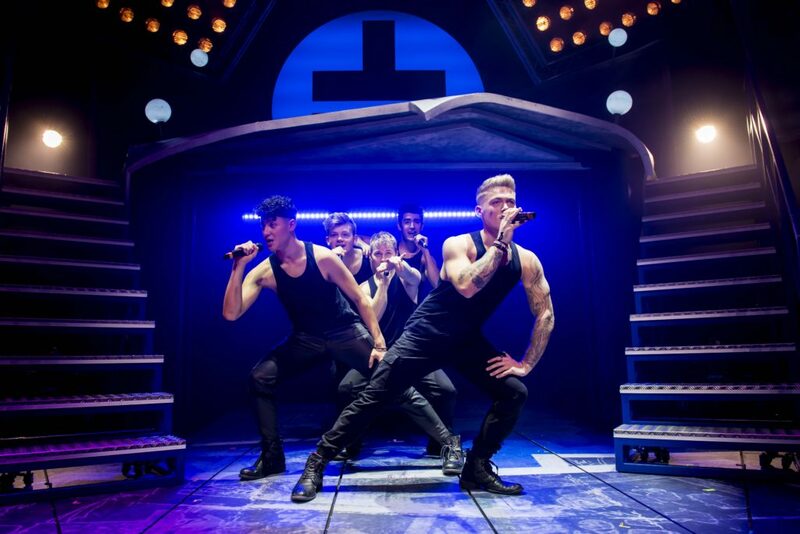 Where the show may be occasionally lacking in the musical department, it makes up for in its barrage of vintage comedy, cleverly bypassing any of the derogatory ‘humour’ of yesteryear. Overall, a pukka production that does a lovely jubbly job at maintaining the heart and soul of a classic.